Android phones usage has expanded exponentially in the world. You can see every person next to you using an android phone. 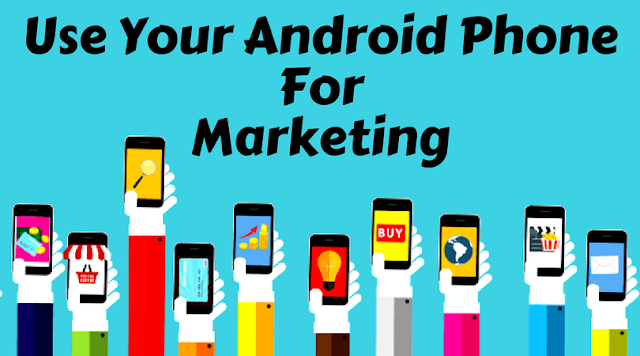 There are more than 2 billion active users of android phone in the world but there are very less number of tools that can be used as a marketing tool via android. We need some tools that can help us to promote our products and services with the help of our android phone. What if there is a tool that can combine multiple android phones of yours and act as a multiple SMS sender because SMS marketing is really effective. So I know a tool which acts as the best SMS marketing tool for android phones. The tool is Android Bulk SMS Sender. The best part of Android Bulk SMS Sender is that it makes a network to connect all your phones via your computer so that you can send SMS through all your phones at once. Android Bulk SMS Sender is a SMS marketing tool that sends SMS in bulk from Multiple Android phones via your computer at once. You can send unlimited SMS from your PC through connected Android Phones just by installing 'Android & Desktop SMS Sender Modem App' on your phone and Android Bulk SMS Sender on PC. Android &Desktop SMS Sender Modem is an android app to connect multiple android phones with desktop, laptop, android Phone using TCP/IP Connection. This application enables the SMS functions of a GSM modem over a WIFI connection. It is compatible with all the Android phones and will enable you to send SMS faster using Android & Desktop SMS Sender Modem making it as a full-fledged GSM modem. Android Bulk SMS Sender is an advanced SMS marketing and promotion tool with help of which you can expand your business and reach new heights. You can send personalized messages to all the numbers with the help of advanced features provided within the software. Another feature of android sms sender is that it keeps a Log file for Sent and Failed SMS with number, corresponding message and Date of SMS sent. This SMS sending software only requires you to have the SIM in your phone and No data connection is required for sending SMS. Android Bulk SMS Sender supports Multi Lingual SMS so that you can send SMS in French, Italian, Japanese, Arabic, Hindi, Gujarati, Urdu, Punjabi, Bengali, Tamil, Telugu, Kannada, Malayalam, German and many others. The answer to your question "How to send SMS in bulk?" is “Android Bulk SMS Sender”. For sending SMS in bulk, you can get the contact list from the excel sheets or text files on your computer or you can enter the contacts manually. Android Bulk SMS Sender also allows you to send INTERNATIONAL PROMOTIONAL SMS in BULK with the feature of adding country code as Prefix to Mobile numbers. Android Bulk SMS Sender sends SMS to All DND/NON-DND Mobile Numbers without any limit. This software also allows you to customize SMS with many fields such as Mobile Number, Name etc. 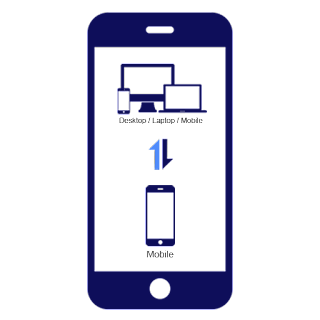 It automatically detects all the connected mobile phones and allows you to select the mobile number through which you want to send SMS from PC. 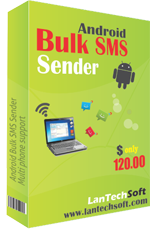 The Advanced Android Bulk SMS Sender includes many features such as delay in SMS, duplicate contacts removal etc. Android Bulk SMS Sender sends SMS from your computer to recipient’s mobiles in bulk. You can send SMS to any number of receivers without any limitation or restriction from the software. This SMS sending software sends SMS to individuals or list of phone numbers just in one click and it also have a user friendly interface. Android Bulk SMS Sender is operable on both Windows 7 and Windows 10. Android Bulk SMS Sender is really an awesome tool for marketing, you must try it.